You are cordially invited to attend the first annual Wheezy Asthma Awareness Virtual 5k! Where: Anywhere you want, it's a virtual race! After you finish your race, post a link to your report and I'll include it in the follow-up post! Encourage Wheezers - Asthma can make being active incredibly frustrating, so a little encouragement goes a long way. Be Aware - There are 25 millions asthma sufferers and, although I like to make jokes to lighten the mood, asthma can be a serious condition. It is a real disease, and patients can have light occasional symptoms that are well-controlled with proper medication, to serious life-changing symptoms that keep them bedridden for months. Please don't assume everyone with asthma has the same abilities. My pet peeve is when people say "oh well there are olympians with asthma, so he's is just being lazy/out of shape". PS: If you missed my race recap yesterday, be sure to check it out! I am not sure if I told you or not, but I got the cutest medal in the mail the other day that I LOVE!!! It was so neat to get that in the mail from your last virtual 5K, so I will definitely be doing this one. I will post a picture on the day I run with my bib on too. I would love to do this. I am a mild asthmatic. In the beginning it made running somewhat rough. I'm doing much better. Thanks for doing this. OK. My name is James Storlie. I am from California. Please add me to your race list. And I too will definitely post up a picture with my race bib on Sunday. Do I post it here in a comment, or is it OK to post up on FB? Or both? I'm in! I love the nudge you provide. Thank you. Thanks Drew! So glad you're in! I am in! My sister Drew has pretty severe asthma and that reminds me I have no excuses NOT to run. thanks Cindi! Glad you decided to do it, and to support your sister! So I did the 5K this morning. Perfect day, great cause. Thanks for inspiring me to run my first virtual 5K! I ran mine this morning and just blogged about it! Thanks for doing this. 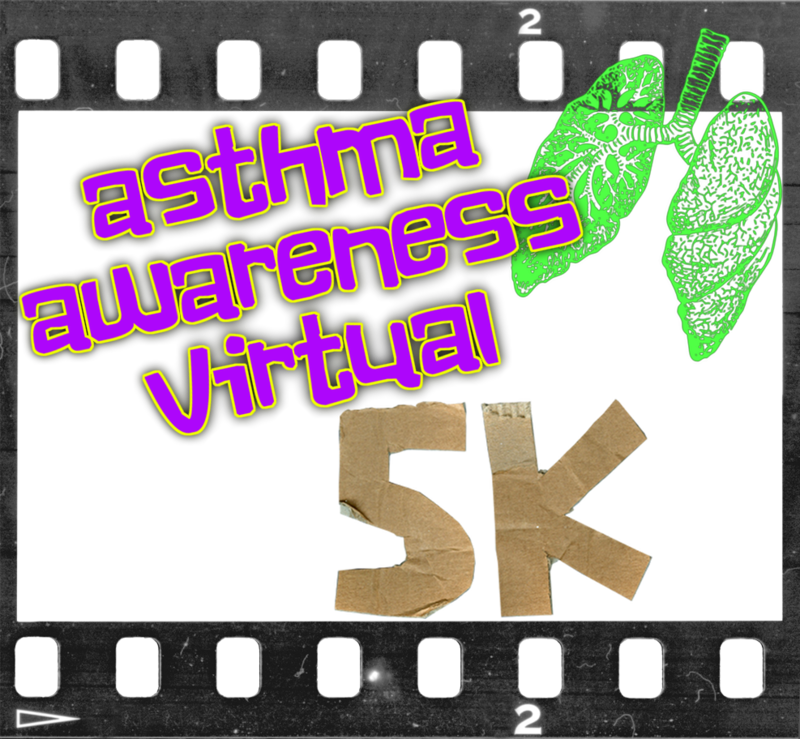 You are making me want to hose a Virtual 5K soon!